Over the previous two weeks, we have posted two blogs that discuss the advantages of consigning your car instead of trading-in at a dealership or selling it yourself. Our first post discussed how auto consignment can save sellers time and effort, while our second post outlined how consignment can increase the sales price and speed of sale due to the additional resources and expertise provided. Below, we explain the two main reasons why vehicle consignment offers sellers more safety, security, and comfort than selling a car yourself. (1) With consignment, buyers and sellers are protected from would-be scammers that frequent the sale-by-owner market. Buyers and sellers expose themselves to meaningful risk of fraud, theft, and scams when dealing with strangers in sale-by-owner transactions. Unfortunately, unscrupulous people are out there praying on unsuspecting victims by arranging test drives only to steal the seller’s car, steal the buyer’s cash, pass a fraudulent check, or fish for information to commit identity theft. When using auto consignment, buyers and sellers can remain anonymous, ensuring both parties transact safely and securely. Specifically, a consignment store can handle all details of vehicle transactions, including inquiries, test drives, price negotiation, sale paperwork, and payment processing, all from a secure retail location. A consignment store will be on the lookout for scam artists and weed out any people looking to commit fraud, so buyer and seller remain protected throughout the sale process. (2) Using consignment, buyers and sellers alike avoid uncomfortable dealings with strangers. With the countless different personalities in the world, buyers and sellers may have conflicting personalities or agendas that make direct interaction on test drives and price negotiations quite uncomfortable. A car consignment store is staffed with customer service professionals who can facilitate test drives, Q&A, and price negotiations between both parties, keeping both buyer and seller happy and conflict-free throughout the process. If you want the most money for your car but don’t want to deal with the hassle and safety concerns associated with the sale-by-owner market, auto consignment is a great option for you. 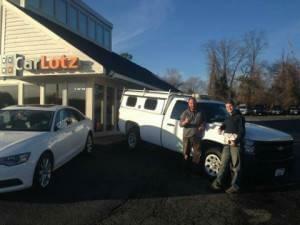 For more information on how a car consignment store can help you sell your car, please visit us or call (804) 308-9592.